IHOP is a American, Traditional, and American Traditional restaurant where most Menuism users came for fun with friends, paid between $10 and $25, and tipped between 15% to 18%. "Sevice was terrible...our waitress was interested in everything else except serving my familiy. Left before we were finished placing our order. Forgot to serve us our coffee, and messed up our order. Pace in there was very fast and constantly felt rushed." A diner from Manchester, NH tried it. An American chowhound from Newark, NJ tried it, didn't like it, and rated it . They liked the food, didn't like the service, and liked the ambiance. Sevice was terrible...our waitress was interested in everything else except serving my familiy. Left before we were finished placing our order. Forgot to serve us our coffee, and messed up our order. Pace in there was very fast and constantly felt rushed. An American chowhound from Boston, MA tried it, liked it, and rated it . They liked the food, liked the service, and liked the ambiance. A dining patron from Boston, MA tried it. A diner from Smithfield, VA tried it and liked it. 1 review of IHOP, first by 2goldman. If you like IHOP’s food in general, you will like it here. It is a new restaurant and is nice and clean. The service was excellent, and everyone from the managers on down were very friendly. The food was what you would expect at this chain restaurant. My companion and I had the new lemonades that were advertised. She had the Mango and I the Strawberry. It came with the flavored gel on the bottom of the glass and you had to stir it to get the flavor. I did not find that the strawberry tasted much like strawberry, and I would prefer to have traditional lemonade made with real juice next time. These dishes from the IHOP menu are contributed by Menuism users directly, as part of a restaurant review, or as part of a photo upload. Do you own IHOP? Contact us to connect with your diners. 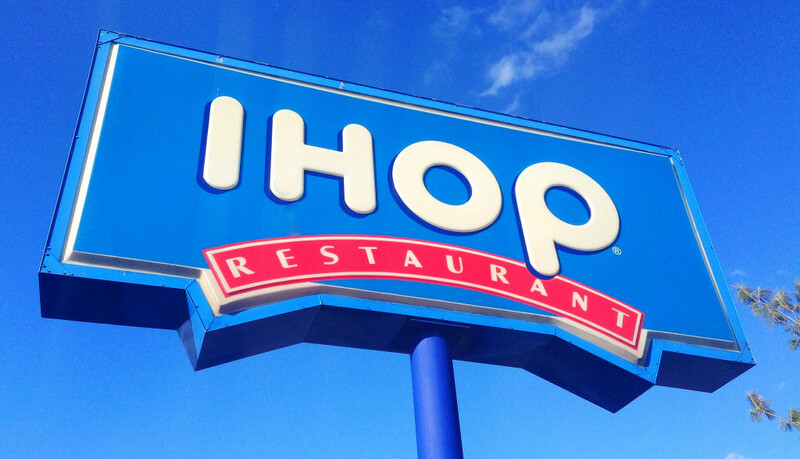 People found this by searching for: Ihopbedford,Nh, Ihop Bedford Nh, Menu For I Hop In Bedford Nh, Ihop Menu, Ihop Restaurant, Bedford, Nh, Ihop, Ihop Bedford, Ihop In Bedford Nh, and Ihop In Bedford Nh Menu.